Calendar Events – the early reviews are AWESOME! Our latest app update brings you a feature you will use constantly, the Calendar Events. The Calendar Events was designed to help keep you organized when planning events such as parent-teacher conferences, picture days, and field trips. It helps parents stay informed and organized as to what events are coming up. Every event you post is available to parents via the parent app. Click on the Calendar icon at the bottom right of the new home screen. 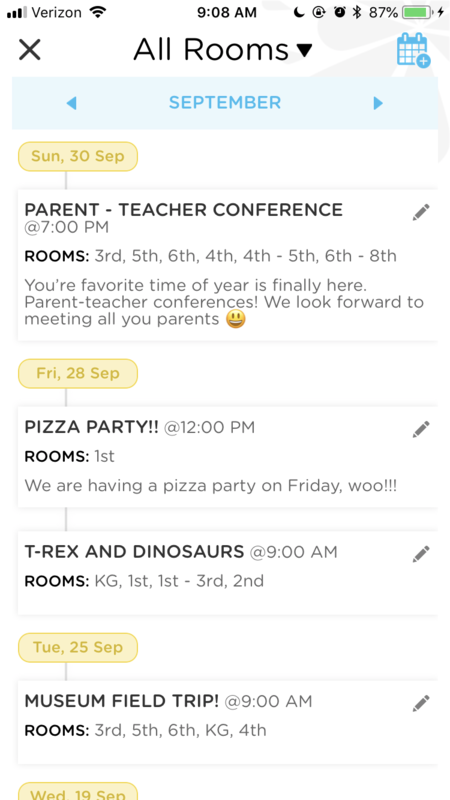 Create any kind of event for any future date in an instant and send it out directly to parents! It’s that simple. 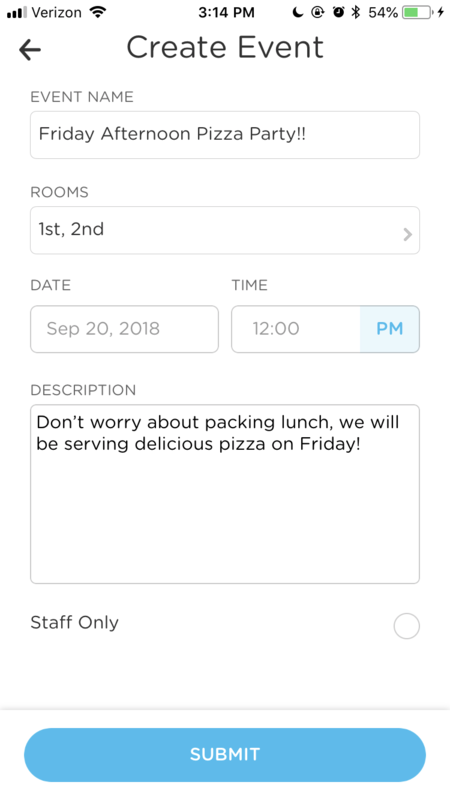 Add the event name, the rooms which the event will apply to, the date & time, and a short description. You also have the option to send this out as a push notification to parents. Parents can view any events from the calendar section of their app (unless you have marked it as staff only). 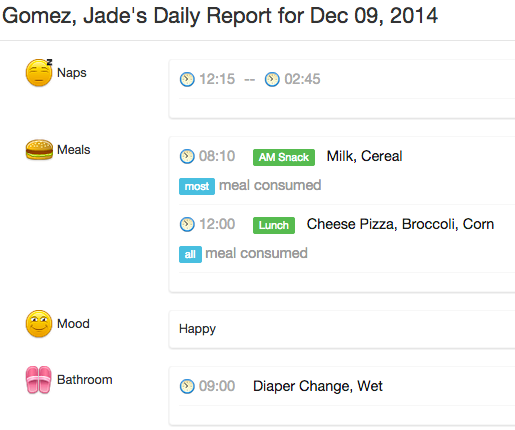 Help yourself, your staff and parents keep track of all upcoming events in one place! For more information, check out the Calendar video.